Home » What Does Wow and Flutter Mean for Turntables? What Should Your Look For? 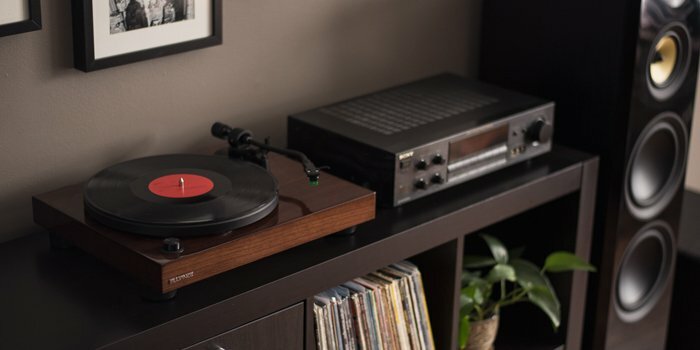 What Can You Do to Protect Your Turntable’s Sound? Any turntable lover knows what wow and flutter are. If you want to maximize your music playback’s potential, you’ll need to understand the variety of background factors which create high-end sounds. As with any CD player, audio tape or speaker system, turntables have several sound quality ‘markers.’ A turntable’s wow and flutter determine a record’s ability to sustain a good pitch, avoid distortion and sound good consistently. Before digging into the nitty gritty of wow and flutter, it’s a good idea to understand how they’re related. Both wow and flutter used to be separate terms. Now, they’re often combined measurements. Universal measurement standards exist, and these standards can take both qualities into account. In a lot of cases, listeners consider flutter to be more important. That said, both wow and flutter determine a turntable’s quality. If you’ve ever heard a recorded tape become distorted, you’ve witnessed wow and flutter. To an extent, all turntable decks have wow and flutter—even if they’re new. Wow and flutter can be slight, too, and a lot of listeners can’t “pick up” on wow or flutter ranges up to .25 percent. Under this percentage, the sound distortion simply can’t be picked up by most. On the other end of the spectrum, high wow and flutter amounts will be displeasing to the ear. High levels of distortion are avoided, and a lot of turntable enthusiasts rightfully shun decks which product a lot of wow and flutter. A lot of today’s average turntables pack a wow and flutter range between .10 and 20 percent. Yes, this means today’s regular turntables have an incredibly low amount of distortion when they’re first purchased. Again, you’ve probably selected a good turntable if it has a wow and flutter under the .25 percent range. The idea, for most, is to purchase a turntable which won’t produce any distortion. Today, some high-quality turntable models have wow and flutter ratings below the .10 percent mark. You might’ve been lucky, snagging a turntable with incredibly low wow and flutter percentages. You should, however, stay up to date with your player’s long-lasting health. Sometimes, a turntable’s wow and flutter can degrade over time. If your record player hasn’t been cared for properly, its specs won’t translate to its actual performance. For this reason, a brand-new turntable with .15 percent wow and flutter can sound better than an old turntable with a specified .05 percent wow and flutter. Age matters, and new turntables—on average—will sound better than old turntables. Both metrics are determined by a turntable’s mechanics and electrical power. This is why old turntables experience worsened wow and flutter: Their capacitor values drift. Over time, a turntable’s mechanical parts can wear down. Power spikes, too, can degrade a record player’s wow and flutter. Unfortunately, events which degrade wow and flutter are hard to pin down. It’s a good idea to invest in a surge protector. You can also talk to a vinyl enthusiast’s shop. These providers can fix up your turntable as it ages. Unfortunately, it takes a lot of time to track down the parts needed to revitalize an old player’s wow and flutter. Find a turntable with decent wow and flutter ratings, and make sure it’s well-protected from power surges and other damages. Don’t stress too much over your player’s ratings, though, as the low percentages held by most players don’t reveal too much distortion. For those interested in investing in a new turntable.